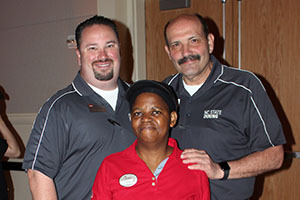 Campus Enterprises employees go out of their way daily to create extraordinary guest experiences and improve our services at NC State. 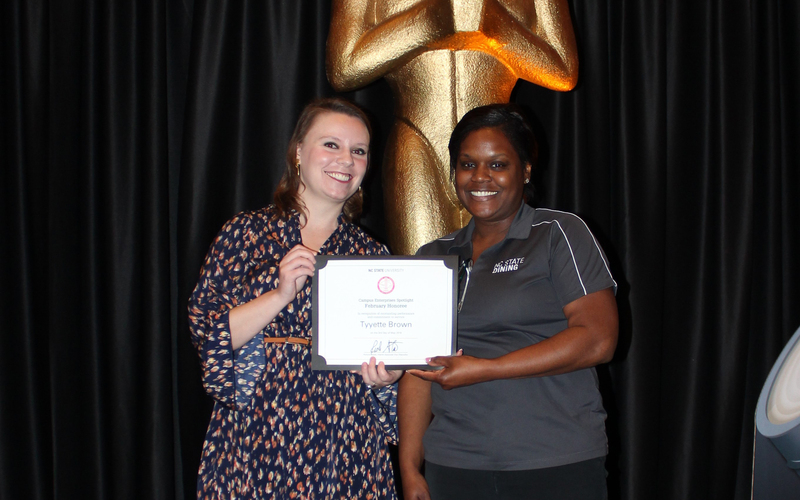 We strive to acknowledge our employees' outstanding contributions through a variety of awards and recognition programs. Every spring, Campus Enterprises hosts a party to celebrate both departmental and individual accomplishments. 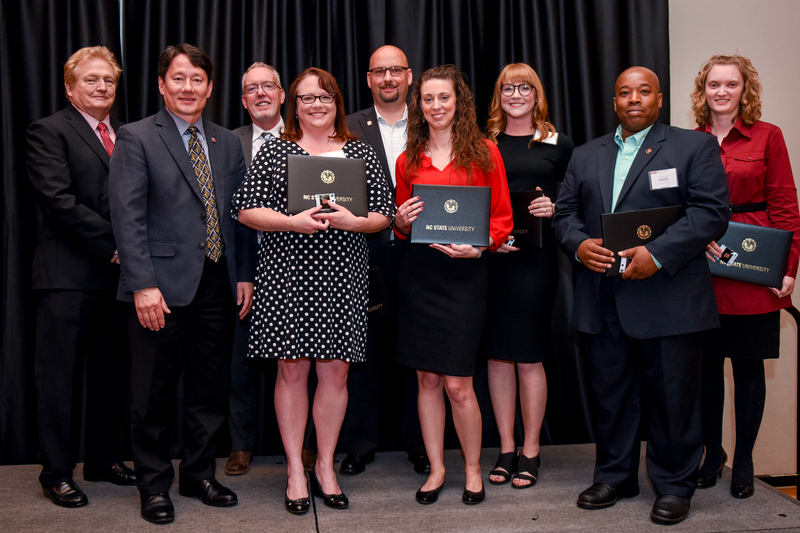 The Pride of the Wolfpack Award recognizes individual employees for a special or unique contribution to their college, business unit, or NC State University. Through the generous sponsorship of the NC State Bookstore, recipients will receive a framed certificate and lapel pin. 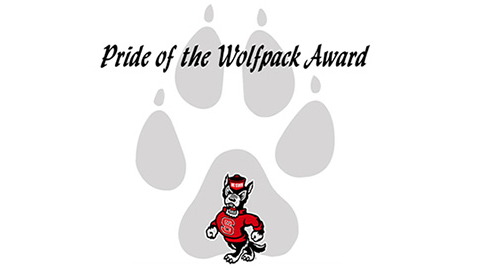 Retirees, faculty, and temporary employees are not eligible for the Pride of the Wolfpack Award. Examples of temporary employees include, but are not limited to, graduate assistants, house officers, postdoctoral scholars, and student workers. Groups or teams are also ineligible for the Pride of the Wolfpack Award. In order for each member of a group or team to receive an award, each member must be nominated individually. Each college and business unit has the flexibility to establish the nomination and selection criteria for the Pride of the Wolfpack Award. Please contact your college or business unit coordinator for more information.